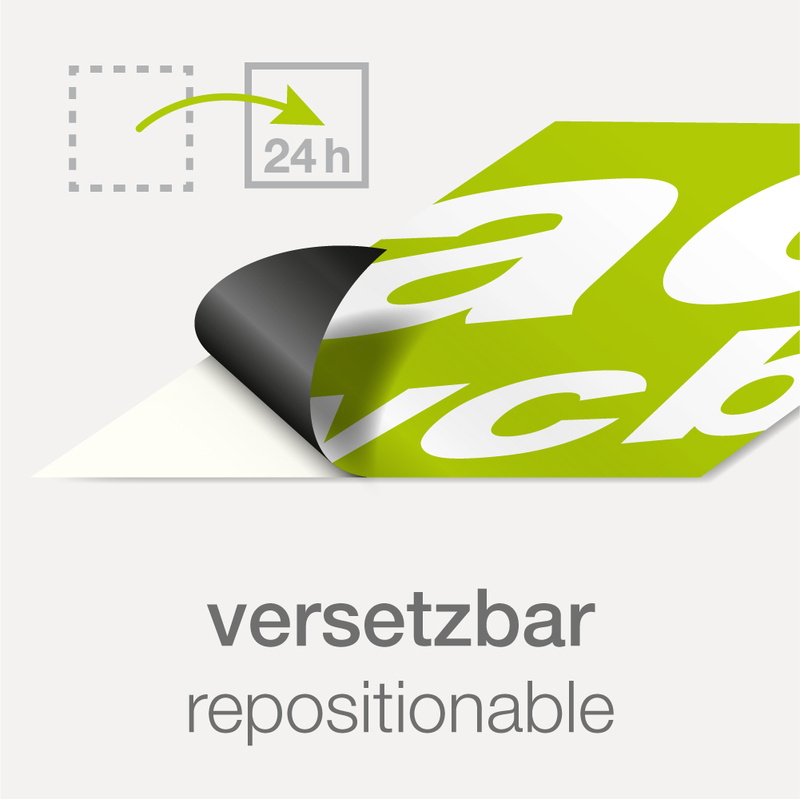 Categories Large Format Prints Stickers Sticker with print "Repositionable"
This self-adhesive vinyl is easy to use. 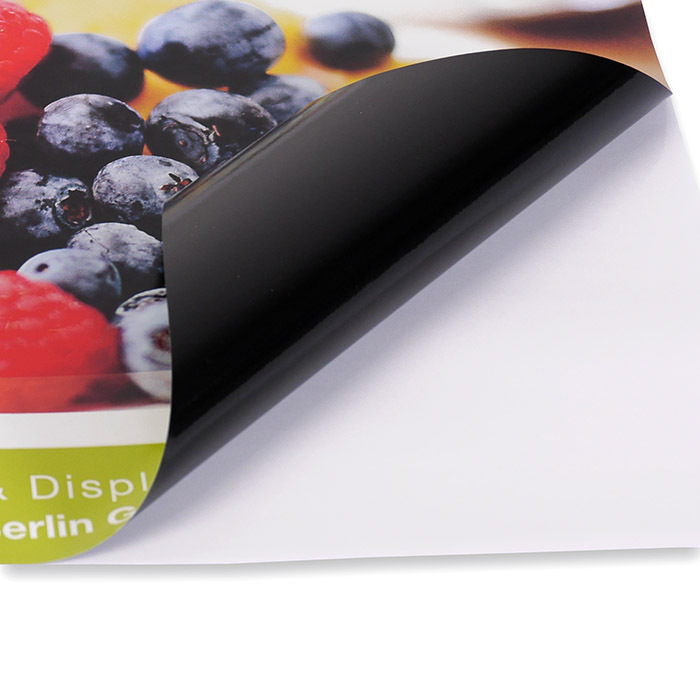 It can be repositioned several times and is removable without adhesive residue. This sticker is excellent for advertising at point of sale and suitable for mounting on vehicles, windows and other cold and smooth surfaces. The static decal adheres securely to smooth surfaces and is resistant to car washes. The installation is very easy, even for inexperienced users, because of the initially low bond strength. The stickers develop their full adhesion after about 24-48 hours. 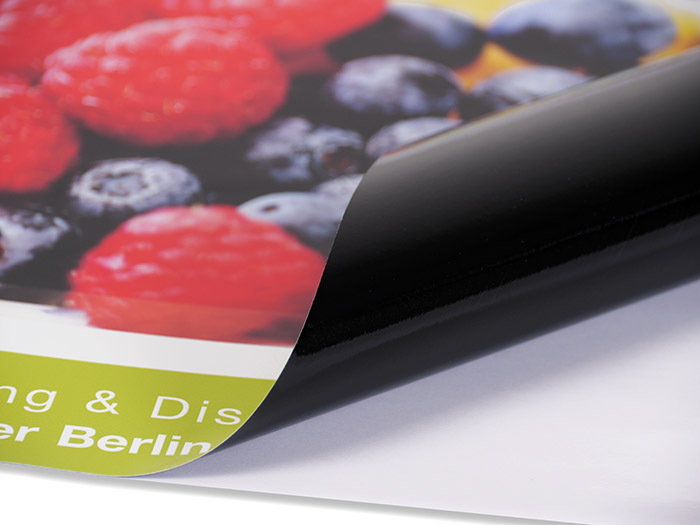 The maximum printing width for a rectangular motif and stickers with a cut contour is 1.25m. Up to these values the stickers are produced in one piece. All larger dimensions will be divided according to our data sheet. Outdoor: depends on intensity of solar radiation and place of installation: in average two years, in maximum three years. The minimum size per piece is 0,5m². Even if the selection is possible in the shop, please contact us in advance for smaller sizes. Vinyl, aluminum, copper and foiled vehicles. Not adhering on damaged paintwork (rust or paint damage).